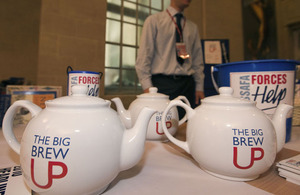 MOD bases across the UK are taking part in 'The Big Brew Up' this week to raise much-needed funds for the Soldiers, Sailors, Airmen and Families Association (SSAFA). 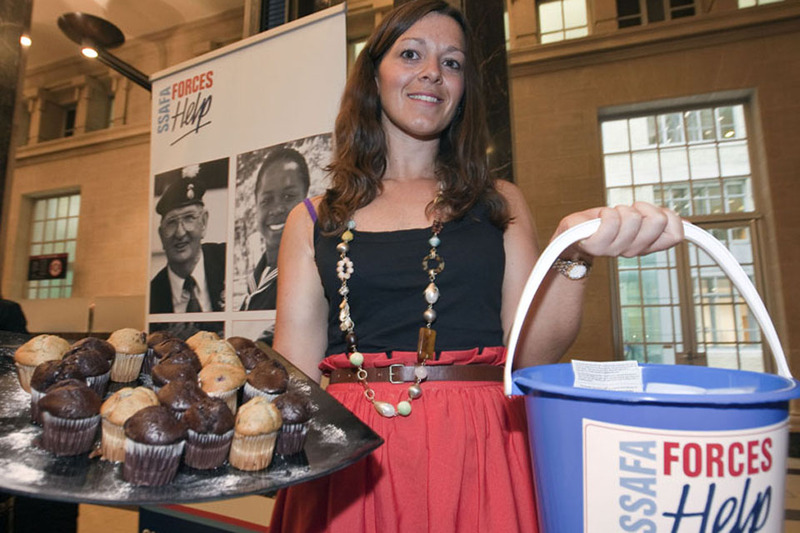 Between 3 and 9 October 2011, people in offices across Britain are getting the kettle on and organising tea parties to raise cash for SSAFA Forces Help. The annual event is a lucrative fundraiser for the military charity that helps and supports those serving in the Armed Forces and their families. The Government takes very seriously our duty of care to Armed Forces personnel throughout their career and, indeed, afterwards. But that duty of care goes beyond government. It’s a duty of care that the whole of society owes to the Armed Forces as well. The Armed Forces increasingly in recent years have enjoyed people’s support and respect not only because of the difficult and dangerous job they do but also for who they are and the values they represent. It is through generous support to organisations like SSAFA and events like The Big Brew Up that people can show how grateful they are for the selfless commitment shown by our Armed Forces. SSAFA officials said they hoped to exceed the previous year’s fundraising total of around £800. Every year we get tremendous support and everyone comes down and enjoys a cup of tea for SSAFA, donating whatever spare change they have - every penny counts. I think it’s a very worthwhile cause and I’ve just popped down for a coffee. All my office are coming down at one stage. Over two hours, staff served up hundreds of cups of tea and coffee and cake generously donated by caterers ESS. They sold SSAFA merchandise alongside books, with all proceeds going to the charity. We hope to raise as much money as we possibly can, but MOD folk are always surprisingly generous. This [event] is why we work for the MOD to support our lads and their families. I work for Gerald Howarth who is very supportive of SSAFA. It’s a good opportunity to come down and holding the event here makes it accessible for everyone. It’s a good, fun way to support a charity who do a lot to support our guys who are away. Armed Forces Minister Mr Harvey expressed his appreciation for the vital work carried out by SSAFA on behalf of troops, families and veterans that ranges from the practical to the emotional. We all hope it is even bigger and better this year.